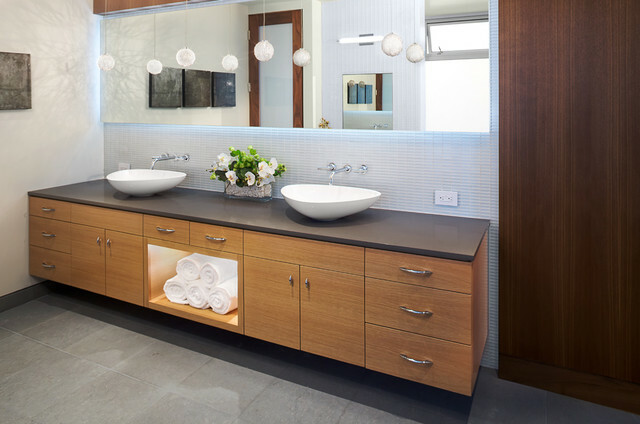 One benefit of a double vanity is the extra storage gained beneath. 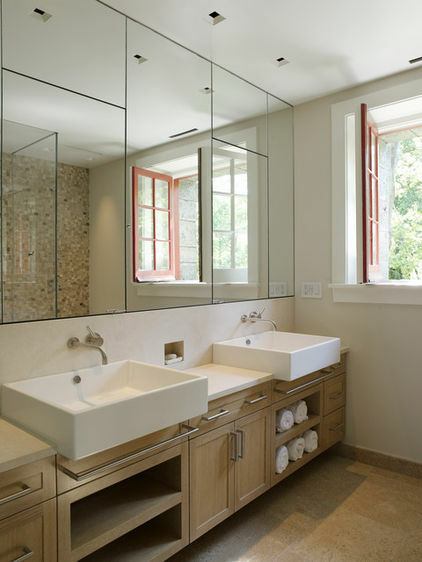 Lots of drawers and shelves mean a clutter-free bathroom and never missing a clean towel or a roll of toilet paper. 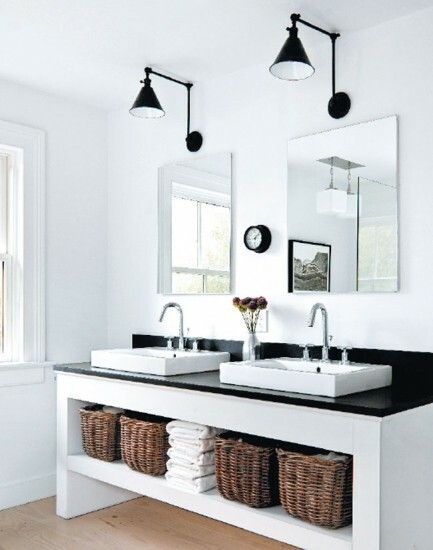 I seem to like those photos with tile floors, white sinks and light wooden units / drawers / shelves. In terms of how the sinks are plumbed in, the sinks below have the pipes in through the sink unit (not from the wall). But I am biased towards a single handle to control the flow rate and temp, coming out of a single outlet. 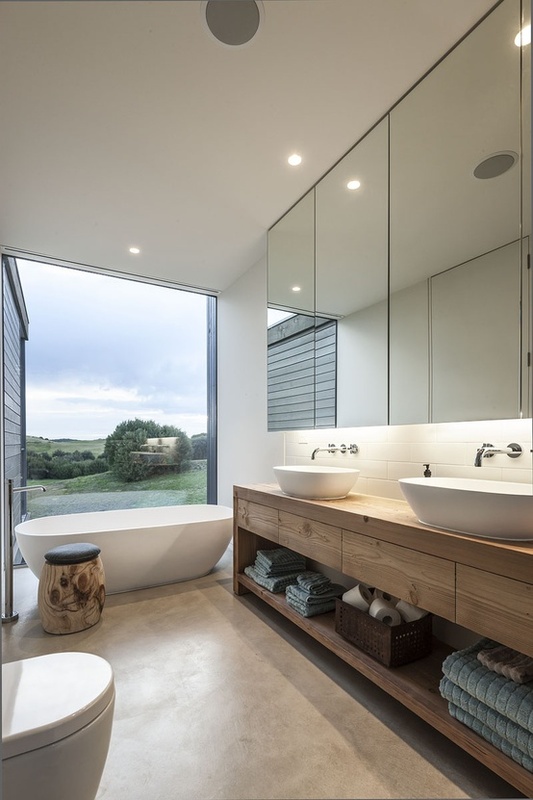 This entry was posted in Decoration, Developing Ideas and tagged bathroom, look and feel by Rory. Bookmark the permalink.